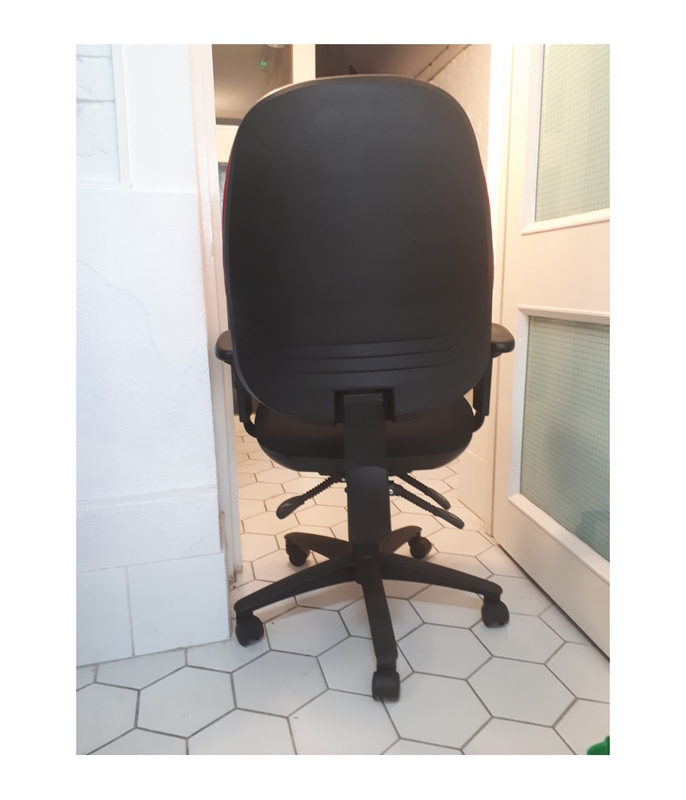 Perfect task chair for comfort and back support at a bargain price. 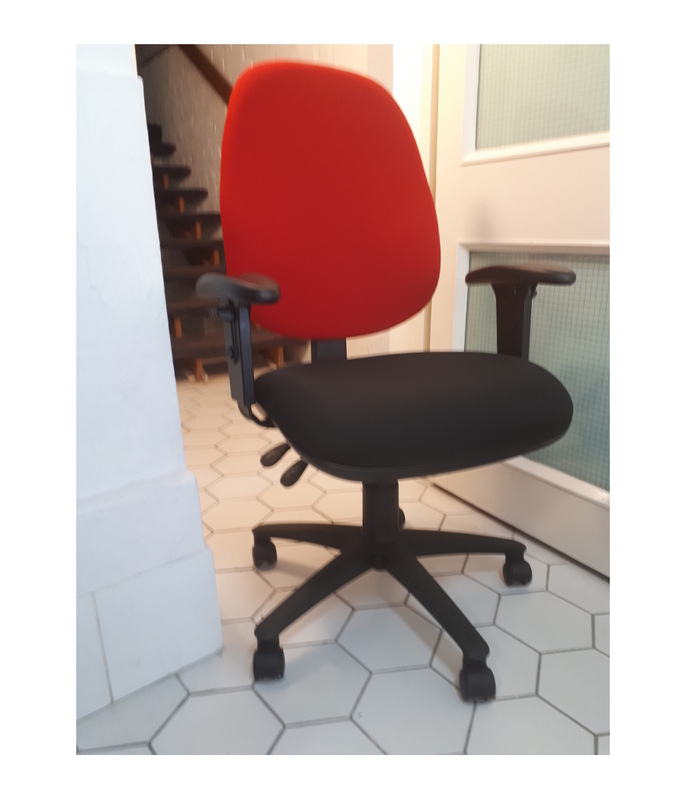 This ex-showroom sample red and black ergonomic operator chair has many fantastic features such as a ratchet back, independent tilt mechanism, height adjustable arms, black swivel base and is gas height adjustable. Good quality. 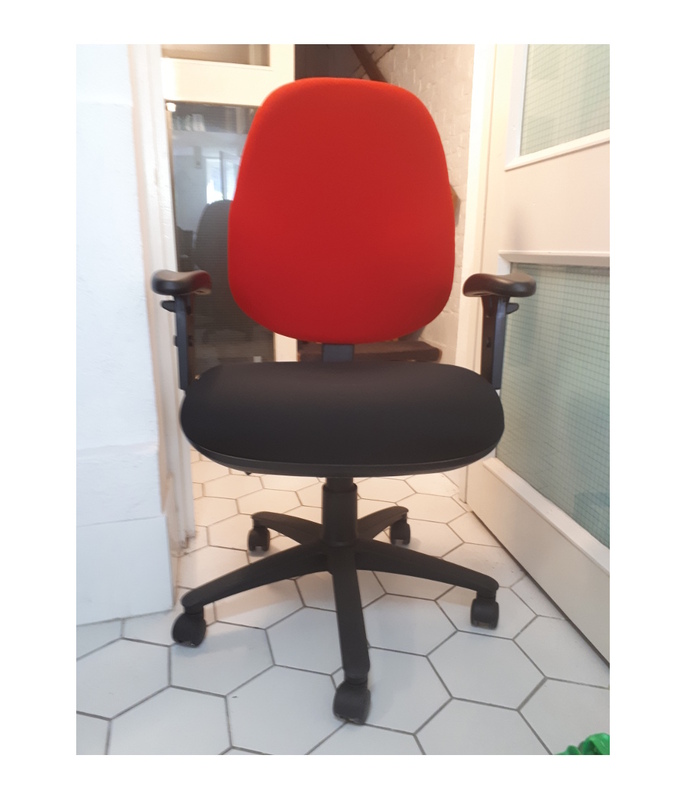 Red fabric back, Black fabric seat.